Protect Your House and Your Rights Under RESPA! Is your Mortgage Servicer talking you to death but not doing anything about your problem!? It might be time to force them to act: send a QWR! The QWR - or "Qualified Written Request"
The Qualified Written Request (QWR) is the ONLY notice or correspondence that triggers legal liability for Mortgage Servicers (the ones who bill you every month for your house payment) under the federal Real Estate Procedures Act (RESPA). 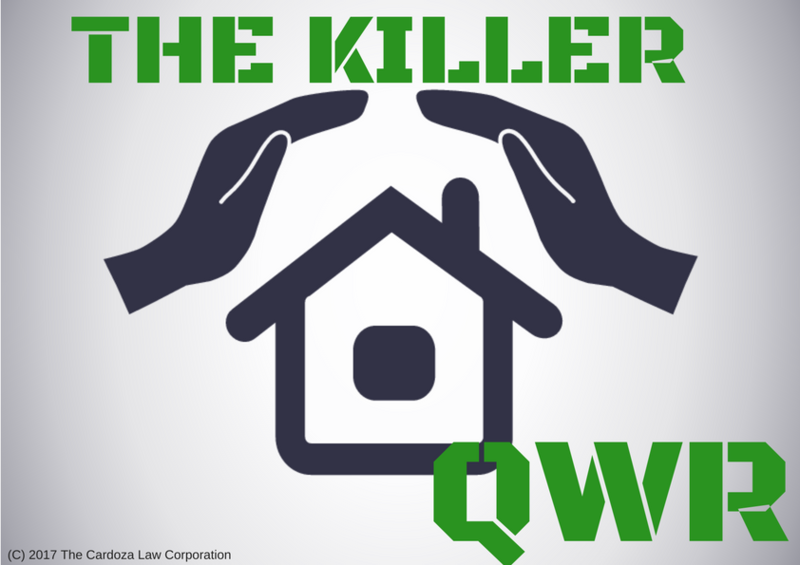 Create and send a killer QWR and you not only force those companies to act, but then they become exposed to legal liability for failing to fix your problem and provide the information that you demand. I take RESPA cases on contingency, which typically means that I don’t get paid until you get paid. I don’t take every case, but the good ones that I do all have one thing in common. The consumer sent a QWR - a good one! Sometimes the QWR stops the problem right there and gets your balance corrected, your credit report fixed, your escrow account sorted out, and the property taxes and insurance paid. But when it doesn’t, you’ve now got a powerful tool to make them do it - by law. for you - for Free*. (*All you have to provide is an email address and your first name). **The Killer QWR is both a “notice of error” and a “request for information” Qualified Written Request form. It comes with mailing information and you get detailed advice and examples. I’ll deliver it to you via email and automatically follow up with you after you’ve downloaded it to find out what happened and whether or not you need legal help for follow on action. Stop agonizing over your mortgage problem and set the right wheels in motion...Now. Protect Your Home and Fight Back.